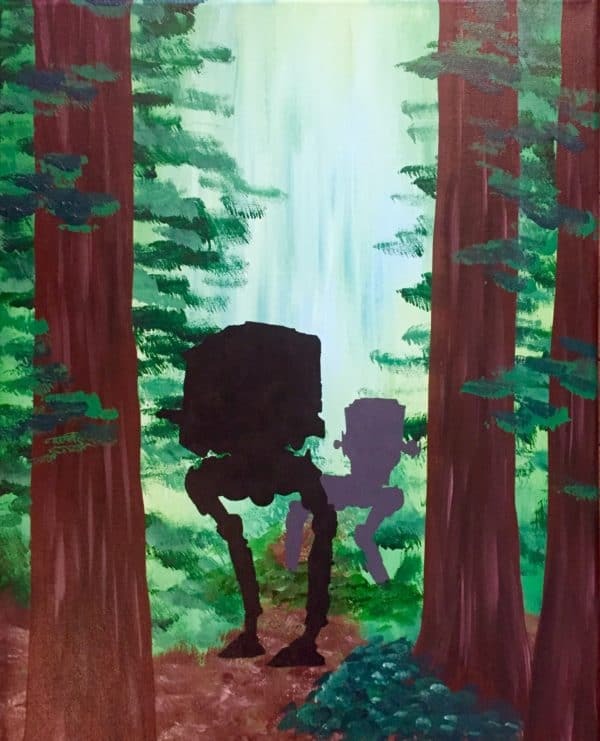 Join us for our annual Star Wars Day paint night! We’re celebrating a day early with this awesome Star Wars painting. There will be a stencil provided for the AT-ST walkers. This event is open to ages 10+. There are drinks and food available to purchase at this venue. Stuft is located at The City Motel. Children under the age of 14 must be accompanied by an adult ticket holder. If you are staying, you must purchase a ticket. There is no sharing of canvases.